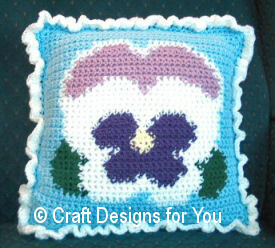 Crochet this pretty pansy pillow for your home decor or as a lovely gift! Fits standard 12-inch square pillow form. Stitched with "J" hook and 4-ply yarns.